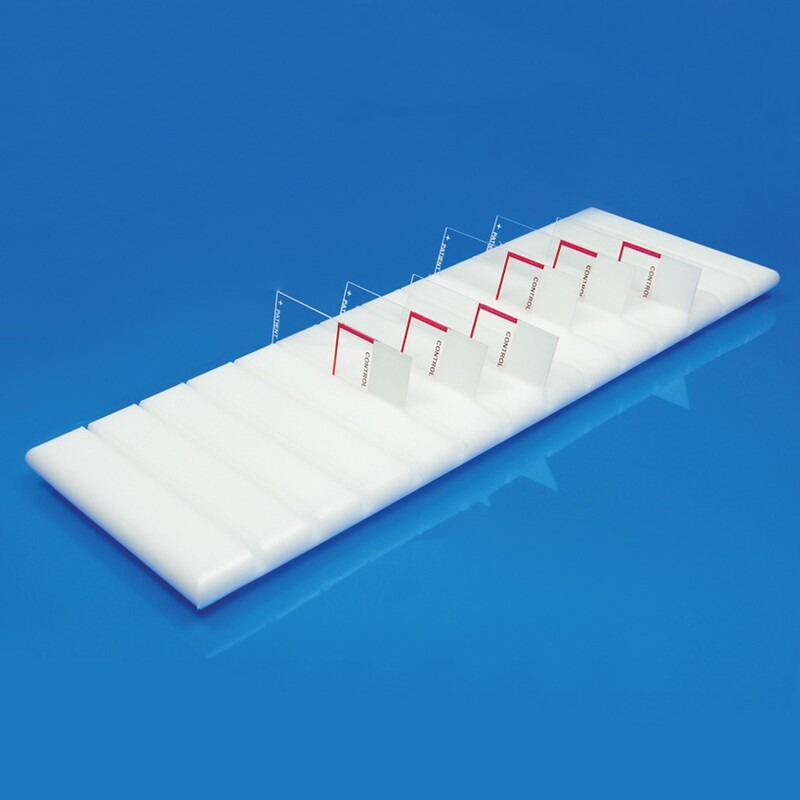 Microscope Slide Holder Block | Polysciences, Inc.
Our durable, chemically resistant polyethylene Microscope Slide Holder Block will accommodate up to 52 separate 3"x1" microscope slides. Angled slide holder slots permit ease of access to individual slides and rapid viewing of slide labels. The polymer composition of the block resists staining and washes clean with ethanol or isopropanol or other organic solvents.